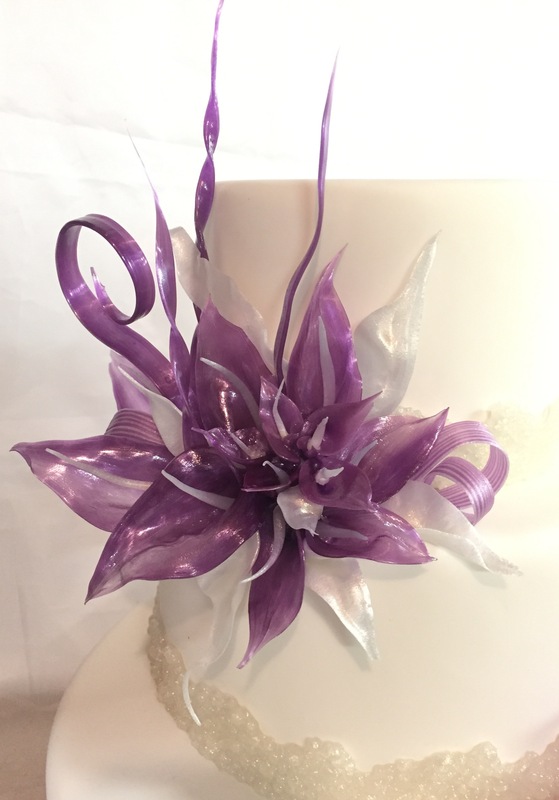 Description You're going to fall in love with making pulled Isomalt flowers. In this 4 hour hands on class you'll be working with precooked Isomalt, heat lamps and learning pulling technique to create beautiful glass like Lilly's and ribbons. No molds will be used in this class, how great is that!!!! All supplies included plus you will take home two bags of Isomalt, 1 purple, 1 pearl. Provided All supplies included for class plus you will take home one two (2) bags of isomalt, one purple and one pearl.